What do you do on a Sunday if you've bought one of those ridiculous urban tractors? 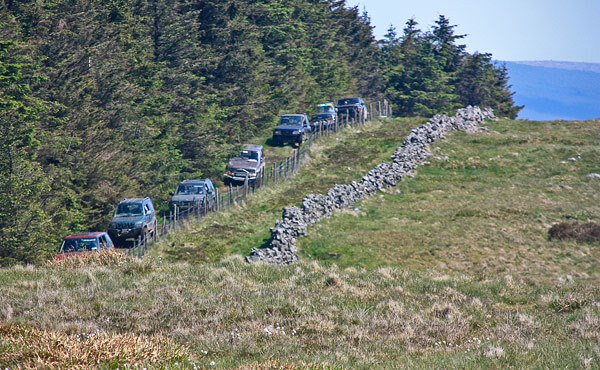 Why drive in convoys around places like the Coillte lands on Annagh Hill, of course. Saves you the indignity of having to use spray on dirt (yes there really is such a thing for SUVs). Certainly a bit disconcerting and unexpected on the summit but not causing damage outside the forest.